Greetings from Antigua….wish you were here! Photo taken last month in Antigua, Guatemala. Nicole, the view is from Cerro de la Cruz or Hill of the Cross. 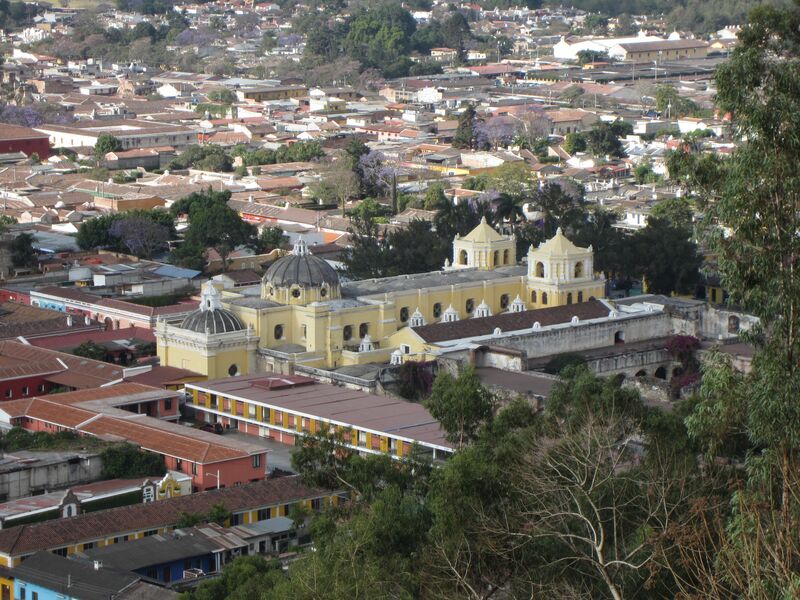 and the yellow church is La Merced!